LAS ANOD, Puntland - Chaos erupted at a campaign rally for Kulmiye, the ruling party of Somaliland in Las Anod, the regional capital of Sool province on Friday, November 3, Garowe Online reports. 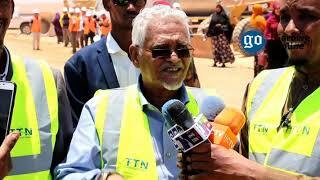 Presidential candidate and flag-bearer of Kulmiye, Muse Bihi Abdi, the speaker of Somaliland's house of representatives, Ministers and officials from Las Anod district administration attended the political rally. 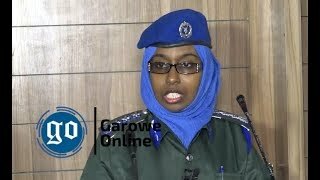 Sources in the city confirmed to GO that the violence flared up after Stone-hurling Youth clashed with the special security forces protecting Kulmiye's Campaign Rally as Abdi was addressing his supporters. Several people have sustained minor injuries during the chaos and were admitted to a private hospital in the northern city, which has been beset by violence in the past, according to the local residents. 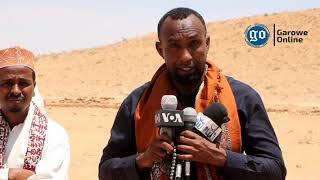 The bodyguards of the Kulmiye nominee began shooting in the air to contain the anarchy by the youth who were protesting over the rejection of local singers from singing songs at the rally. 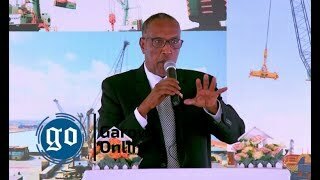 This comes as Somaliland is moving closer to the general Presidential elections slated for 13 November 2017, with three candidates from Kulmiye, Muse Bihi, UCID, Feysal Ali Warabe and WADDANI Abdirahman Irre are competing to win the Presidency. Las Anod will host for the first time the upcoming elections since Somaliland has announced its secession from Somalia in 1991. 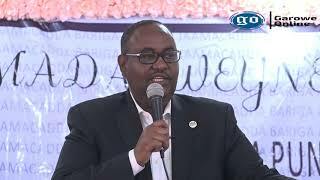 On the other hand, Puntland's Minister of Information Abdi Hersi "Qarjab" has warned Somaliland against bringing ballot boxes in areas under Puntland state control, especially in Sool and Sanag regions.